The Odacité Treatment Hydra Mist line includes three products: the Rose + Neroli Hydra-Vitalizing Treatment Mist* (C$49/US$39) which is the one I've been testing, the Aloe + Immortelle Hydra-Repair Treatment Mist (C$49/US$39) and the Mint + Green Tea Hydra-Purifying Treatment Mist (C$39/US$29). If you know me, you know I have a weak spot for facial mists, and I've been reaching for my Rose + Neroli Mist daily right after cleansing as it can be used instead of lotion. If you need a mid-day refresher or want to set your makeup, this blend works wonders too. Not only that, but it also acts as a toner, helping minimize the appearance of pores. If you have normal to combination or sensitive skin like me, this is the one for you. The main ingredient is aloe vera, which has calming and anti-inflammatory properties, while rose water helps balance sebum production. Other key natural plant extracts included in this formula are: Aspen bark extract to diminish the appearance of pores, olive leaf extract, neroli to help combat breakout and ylang ylang flower oil. 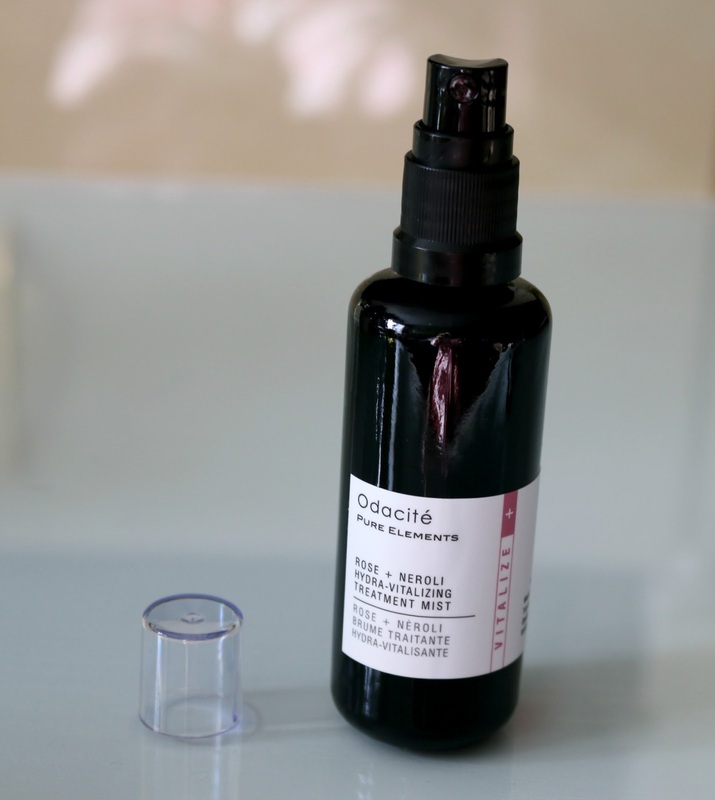 Having tried two of Odacité's Serum Concentrates, I was really looking forward to incorporating the Green Tea Lemongrass Serum Concentrate* (C$49/US$39) into my routine. I can't specifically recall having lemongrass in my skincare, but I've quickly taken a liking to it. After doing some research, I learned that lemongrass oil is often used instead of lemon oil as it is less expensive but still has the same citrus scent and that it also helps relieve tension and bring an overall sense of calmness. I'm actually not a big fan of drinking green tea as I find it too potent, but I can certainly appreciate it in my beauty regimen as it is antioxidant rich and great to treat acne. I reach for my serum concentrate after cleansing and misting, and you can use it on its own or mix 2-3 drops into your moisturizer for a more diluted concentration that will also make it last longer. If you are considering purchasing anything from Odacité, I can assure you - you won't regret it! 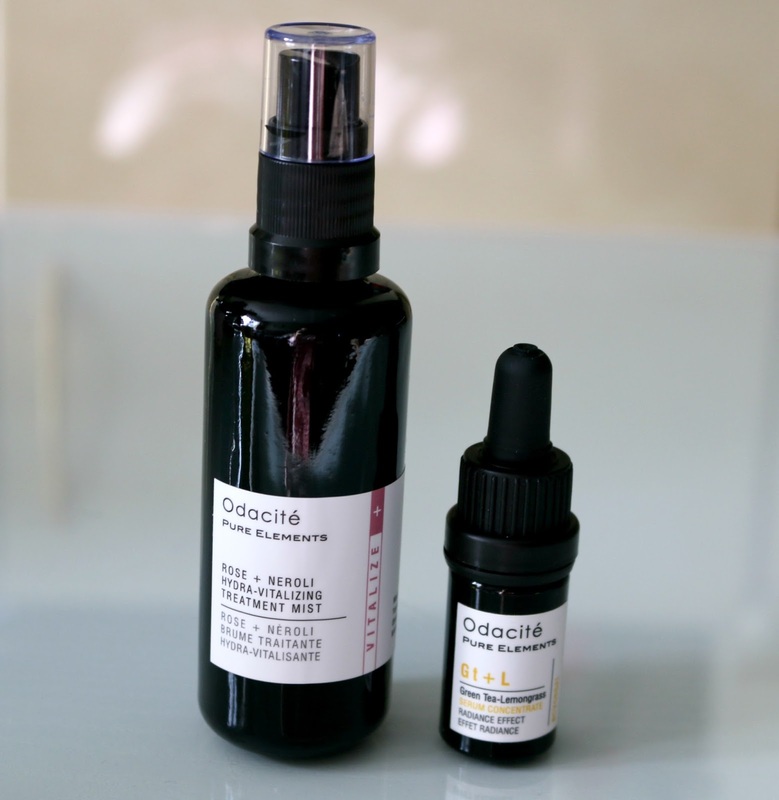 Odacité products are available on their website as well as at The Detox Market, both in stores and online. *Disclaimer: Products were provided and reviewed in accordance with my Disclosure Policy. Affiliate link provided. 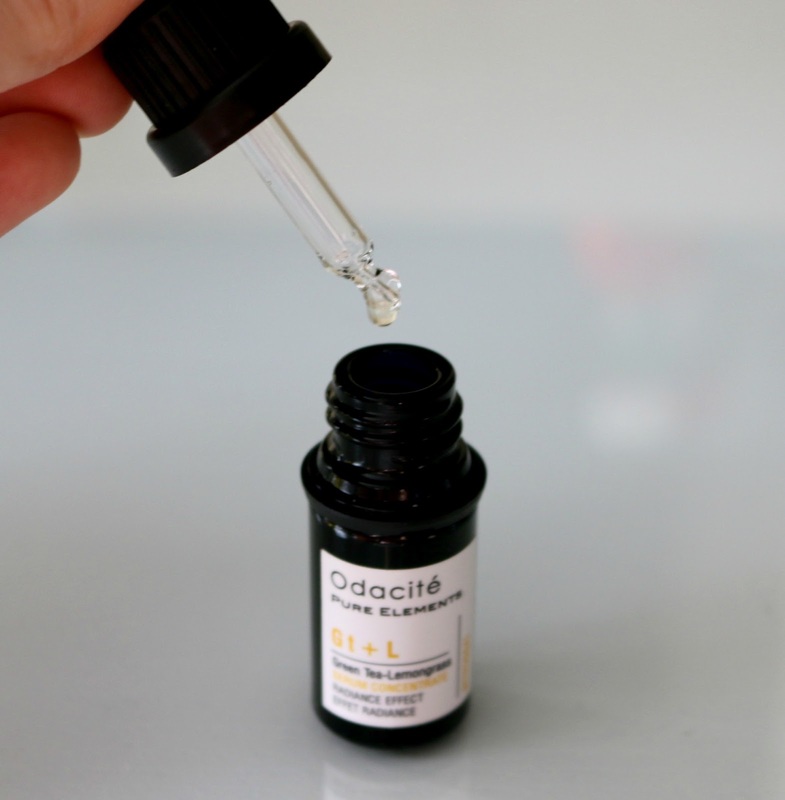 I've only heard great things about Odacité and both these products sound wonderful! 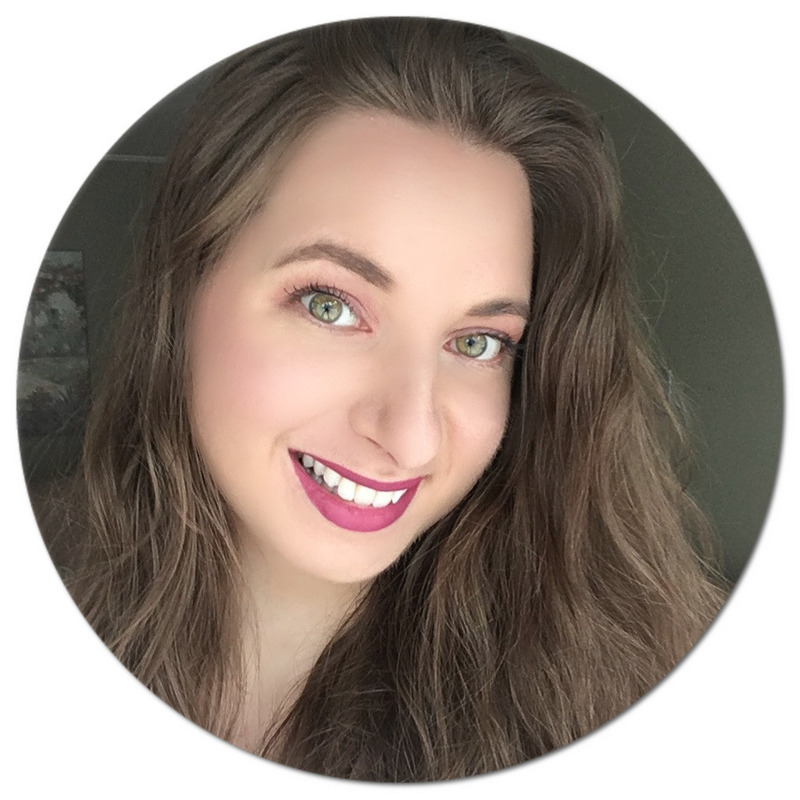 I've been introduced to face mists this past year and I'm loving them!